For everyone involved in the making of the album, ‘Symphony Of Enchanted Lands’ is the pinnacle of their abilities. It was not just a compositional triumph for all the musicians involved, it also established Sascha Paeth and Miro as the go-to producers for symphonic metal. Rhapsody did not invent the genre, but ‘Symphony Of Enchanted Lands’ takes the genre to its logical extremes. An enormous orhcestra, three different choirs, narrators, medieval interludes… And surprisingly, it works. The progressive power metal songs sound full and bombastic rather than cluttered, with the metal elements and the classical elements being in perfect balance. 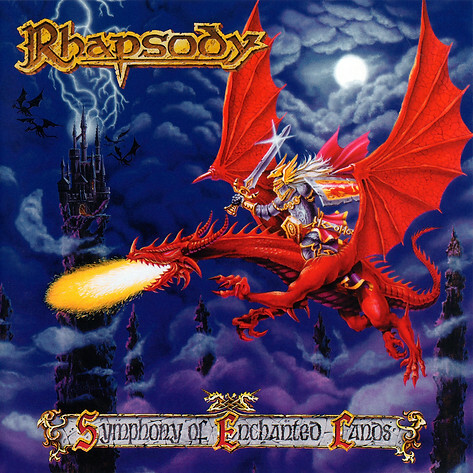 Two decades after its initial release, ‘Symphony Of Enchanted Lands’ is primarily known for its shorter power metal tracks, specifically ‘Emerald Sword’ and ‘Wisdom Of The Kings’. Both of these songs would end up in almost every live set once the band started touring, which they did not do until about a year and a half after the album’s release. The popularity of these songs is understandable. ‘Emerald Sword’ is a fresh power metal song with a some memorable guitar work and an anthemic chorus, while the verses ‘Wisdom Of The Kings’ harbor one of Fabio Lione’s best vocal melodies. ‘Symphony Of Enchanted Lands’ has more to offer though. The middle section of the album has two back-to-back progressive metal tracks. The dark, threatening ‘Beyond The Gates Of Infinity’ is the better of the two by a hair. The Dream Theater-inspired riff work is offset by horror-style symphonics, an excellent use of dynamics and an unpredictability in the songwriting some of the band’s later work lacks. As its title suggests, ‘Eternal Glory’ is slightly more triumphant in approach, though also ending in darkness. The brass driven intro sets the mood for a proud, somewhat angry metal song. Another interesting song is ‘The Dark Tower Of Abyss’. Arguably the least accessible song of the record, but it is also the most baroque chamber music oriented song on the record. There are large sections of the song reserved for strings and harpsichord, though the electric guitar driven sections have an exciting amount of tension. ‘Wings Of Destiny’ is Rhapsody’s first piano-based ballad and with a singer as passionate as Lione, it was bound to succeed. Only the closing title track misses the mark somewhat. It does contain a number of great sections, but those would have worked better if they were worked into four separate songs rather than a single long one. Still, with all its bombast and carefully arranged production, ‘Symphony Of Enchanted Lands’ is an album that sounds as overwhelming now as it did upon release twenty years ago. Rhapsody outdid itself here, as subsequent releases proved. The more metallic approach they would adapt – undoubtedly fueled by their live shows – resulted in a couple of great songs, but never again would they release an album as consistently good as ‘Symphony Of Enchanted Lands’. As a young teenager, I was obsessed with this record and I still don’t see that as a youthful mistake. The music on this album is way too good for that. Out of all Onmyo-za albums, ‘Chimimoryo’ is proabably the one with the broadest appeal. That does not mean it isn’t metal. Quite the contrary. The riff work on the album is still as rooted in traditional heavy metal as it always has been, but the polish of the production and the melodic sensibilities really opens the door for J-rock fans, while the dynamic and subtly adventurous nature of the record invites progressive rockers to have a listen. No matter what side of Onmyo-za you like best, it is represented on ‘Chimimoryo’, which – as a result – is one of the band’s best. What really makes ‘Chimimoryo’ as near perfect as it gets is the fact that it has a very pleasant flow. It would not surprise me if multiple track orders were tested before release in order to find the one that is just right. This is not the type of album where you’d get tired of too many songs of the same tempo or style after each other, neither does it boggle your mind with illogical genre-hopping. The powerful voice of bassist and band leader Matatabi and the expressive (mezzo-)soprano of Kuroneko are very much in balance here as well. As great as ‘Chimimoryo’ is all the way through, the more epic tracks really raise the album’s status. And that already starts when you put on the album, as ‘Shutendoji’ is a monumental midtempo hardrock track of late Zeppelin proportions, only with some brilliant guitar harmonies and a metallic rhythm section more reminiscent of Iron Maiden. Later on, ‘Dojoji Kuchinawa No Goku’ takes you through multiple climaxes during its eleven and a half minutes. Huge, doomy riffs, balladesque sections and one of the more awesome speed metal riffs in the band’s discography, it’s all there and each section is even better than the last. These songs alone don’t make a good album though. The hypermelodic single ‘Kureha’ is reminiscent of ‘Yoka Ninpocho’ in how the clean and distorted guitars interact, the strong melodic metal stomper ‘Araragi’ feels like a sequel to ‘Shutendoji’ with its powerful lead guitar themes and broad chords and if it’s fast riffs you want, ‘Hiderigami’ and ‘Oni Hitokuchi’ will serve you all the energetic speed metal you need. 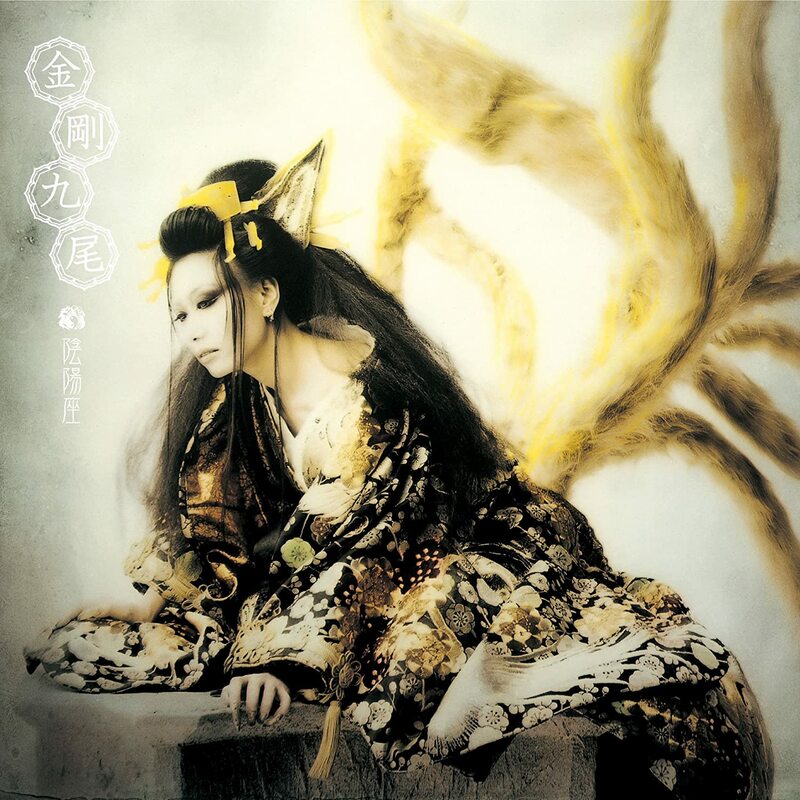 Kuroneko’s composition ‘Tamashizume no Uta’ is the lone ballad on the album, but her amazing voice and the rather atypical marching rhythms and percussion really turn it into something unique. Unless you are a wool-dyed old-schooler, ‘Chimimoryo’ would be the perfect album to get acquainted with Onmyo-za’s unique sound. Matatabi’s compositions evidence that the guitars of Maneki and Karukan do not have to play power chords the whole time in order to sound metallic and the vocals prove that there are more options than the overused beauty and the beast tactic for male-female vocal duos. Onmyo-za would later top ‘Chimimoryo’ with ‘Kishibojin’, but only barely. This is one of the very few albums that is of consistently high quality from start to finish and deserves to be heard because of that. Due to its polished, almost glossy production and the relatively mellow nature of its songs, ‘Kongo Kyubi’ initially was one of my least favorite Onmyo-za albums. After letting the album – and, presumably, myself – mature for a while, my appreciation for the album increased rapidly. It is quite unique in the Onmyo-za canon in that there is an abundance of clean and twelve string guitars, but only three of the songs qualify as a ballad. Instead, ‘Kongo Kyubi’ channels all the band’s melodic sensibilities and puts them on the crossroads of traditional heavy metal, eighties hardrock, mildly progressive rock and J-rock. Had Onmyo-za continued down a softer road following ‘Kongo Kyubi’, it would have been seen as a transitional album, but since it was followed by one of the darkest records the band ever made, it can probably be considered a melodic experiment that works surprisingly well. That does not mean the album feels like a stylistic detour; songs like ‘Aoki Dokugan’ and ‘Sokoku’ contain everything Onmyo-za fans would want; NWOBHM inspired riffs, melodic lead guitar themes, highly memorable melodies and – always a defining feature of the band – the excellent dual lead vocals of bassist Matatabi and his wife Kuroneko. Still, ‘Kongo Kyubi’ has a few amazing songs that would have sounded out of place on other Onmyo-za albums. ‘Banka’, for instance, is the most bluesy track the band ever released, albeit in an eighties Gary Moore blues ballad kind of way. Furthermore, ‘Baku’ sets the mood for the album very effectively. 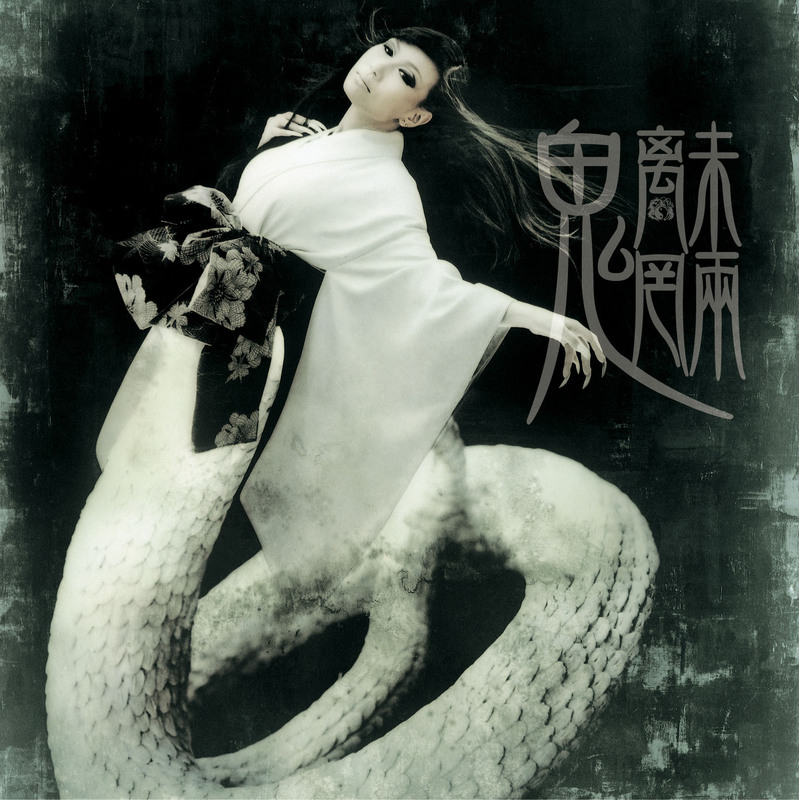 It is based on some shimmering twelve string parts courtesy of guitarist Maneki, but also has a few pulsating riffs, a notably upbeat chorus and some of Matatabi’s busiest bass work to date. ‘Izayoi No Ame’ does a brilliant job combining Onmyo-za’s trademark melodic J-metal with melodic hard rock. That does not mean that ‘Kongo Kyubi’ is without its heavy moments. ‘Kuzaku Ninpocho’ is a masterpiece of a speed metal track, while the three-song suite ‘Kumikyoku Kyubi’ is remarkable in being the only Onmyo-za suite so far that does not contain a distinct ballad-esque track. Sure, its first part ‘Tamamo-No-Mae’ has a bouncy, almost disco-like rhythm as its foundation, but the epic Iron Maiden vibe of ‘Shomakyo’ and the riff-fest ‘Sessho-Seki’ keep it firmly within the metal realm. In addition, ‘Kuraiau’ – yes, I also first thought it was “cry out” – is the best of Onmyo-za’s upbeat closers, which often are a little lightweight. By contrast, ‘Kuraiau’ has a powerful seventies hardrock feel. Once ‘Kongo Kyubi’ clicked with me, I learned to appreciate it for what it is: an extremely well-written, perfectly arranged and flawlessly produced album. Onmyo-za found a way to perfectly balance their sense of melodicism with some surprisingly inventive riff work which sounds standard enough, but really isn’t once you find out the chord structures. As for myself, I am glad I love this band enough to give this album a few extra chances, after which it proved that it is not a watered down version of Onmyo-za, but instead a very successful attempt at highlighting the band’s more romantic side. The latter half of the album is surprisingly metallic though.